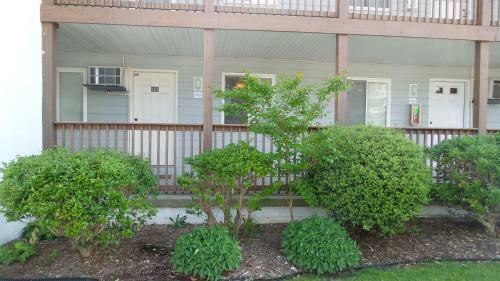 Summerwinds 102c in Ocean City is an apartment building. Featuring an outdoor swimming pool, Summerwinds is located in Ocean City, Maryland. Free WiFi access is available at this self-catering accommodation. A patio and a seating area with a sofa bed are included in the apartment. The full kitchen is equipped with a hob, oven and coffee machine. There is also a cable TV. Ocean City Summerwinds offers free parking. The property is non-smoking. If you feel like visiting the surroundings, Jolly Roger Amusement Park is 9 minutes’ walk. The beach is 11 min...utes’ walk. Featuring an outdoor swimming pool, Summerwinds is located in Ocean City, Maryland. Free WiFi access is available at this self-catering accommodation.... A patio and a seating area with a sofa bed are included in the apartment. The full kitchen is equipped with a hob, oven and coffee machine. There is also a cable TV. Ocean City Summerwinds offers free parking. The property is non-smoking. If you feel like visiting the surroundings, Jolly Roger Amusement Park is 9 minutes’ walk. The beach is 11 minutes’ walk. When would you like to stay at Summerwinds 102c? Guests are required to show a photo identification and credit card upon check-in. Please note that all Special Requests are subject to availability and additional charges may apply. This property will not accommodate hen, stag or similar parties. A damage deposit of USD 300 is required. The host charges this 14 days before arrival. This will be collected by PayPal. You should be reimbursed within 7 days of check-out. Your deposit will be refunded in full via PayPal, subject to an inspection of the property. Swimming pool is closed from Tue 03 Sept 2019 until Thu 21 May 2020 Please note, a security deposit of USD 150 and a tax fee of 10.5% is required upon arrival. This deposit is fully refundable upon 7 days after check-out.